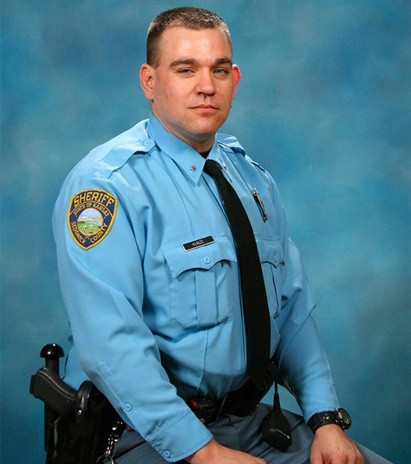 A 12-year veteran of the Sedgwick County (KS) Sheriff’s Office was shot and killed Sunday while responding to a suspicious character call, Sedgwick County Sheriff Jeff Easter said during a Sunday evening news conference. A second person, the suspect, was also killed. Deputy Robert Kunze was called at around 1:18 p.m. to an area just north of Garden Plain and about 20 miles west of downtown Wichita. When Kunze arrived at about 1:42 p.m. Sunday, he saw a person who matched the description of the suspicious character, Easter said. Then, at about 1:48 p.m., Kunze “activated the emergency button on his portable radio,” the sheriff’s office said. Another deputy responded and found both Kunze and the male suspect on the ground, Easter told Kansas.com. Kunze was taken to Via Christi Hospital St. Francis by ambulance and pronounced dead at around 2:55 p.m.